Looking for a crunch to top off that greek yogurt? Have you heard of Amaranth? It’s great for the whole family. If I haven’t mentioned it before, I have a bit of an obsession with the organic/whole foods isle in grocery stores and I always love finding new items to try. Amaranth is a grain that is high in protein and iron and also contains calcium, b vitamins and other minerals. It can be cooked whole as a breakfast cereal (like oatmeal) or served with vegetables or other foods for lunch or dinner. It can be ground into a flour for baking and can be a substitute for wheat and other grains. It can also be toasted, and popped looking like teeny tiny pieces of popcorn! It has a nutty flavour when toasted and is perfect to throw on yogurt, cereal, salads….anything you want to add a little crunch (and nutrients) to. 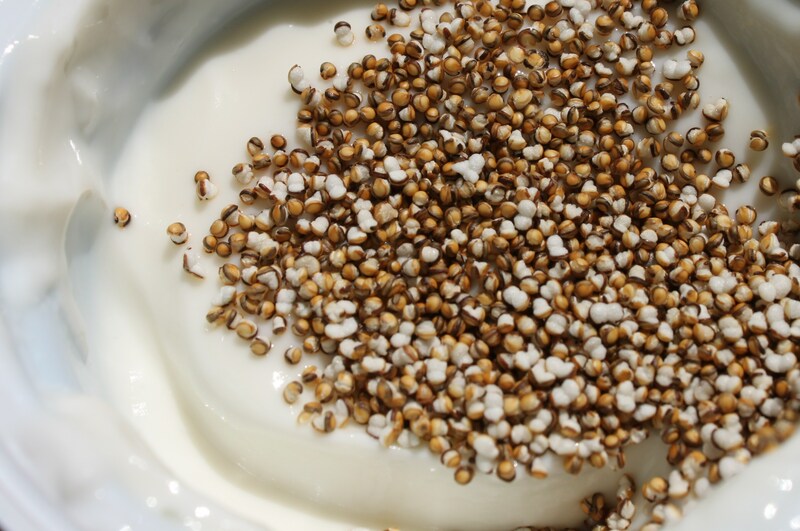 To toast/pop Amaranth, heat a pan on high (it has to be high for the Amaranth to pop) and add a Tbsp of Amaranth grains. You will need to constantly move the Amaranth around so it does not burn (I use a flat wooden spatula). It will probably take a few times to perfect your skill. I have only done it once and found that about half of the grains toasted, and half of them popped like popcorn. Either way they are still yummy! You should be able to find Amaranth in whole foods stores or whole food isles of your grocery store, or head to the Bulk Barn! This is an excellent dish to make for breakfast for a group of people, but personally I like to make it ahead of time, cut into slices and store the slices in the fridge. Warm them up for a quick filling breakfast, or even eat them cold. So good either way! Chop and rinse leeks (throw them in a bowl of cold water and move around so any dirt falls to the bottom and then lift out and place on paper towels to soak up excess water). Wipe mushrooms clean with a damp paper towel. Place oven rack in top third of oven and preheat to 350 degrees. Heat 1 tbsp of olive oil in a 10 inch nonstick oven proof pan over medium heat. Add the leeks and cook stirring often until softened. Add mushrooms and cook stirring until softened and until all liquid has evaporated. In the mean time, whisk eggs, yogurt and thyme in a large bowl. Season with salt and pepper. Add remaining olive oil to pan and pour the egg mixture over the leeks and mushrooms shaking the pan gently to even it out. Allow to cook for about 5 minutes, until it begins to set. Sprinkle remaining cheese over the eggs and transfer the pan to the oven. 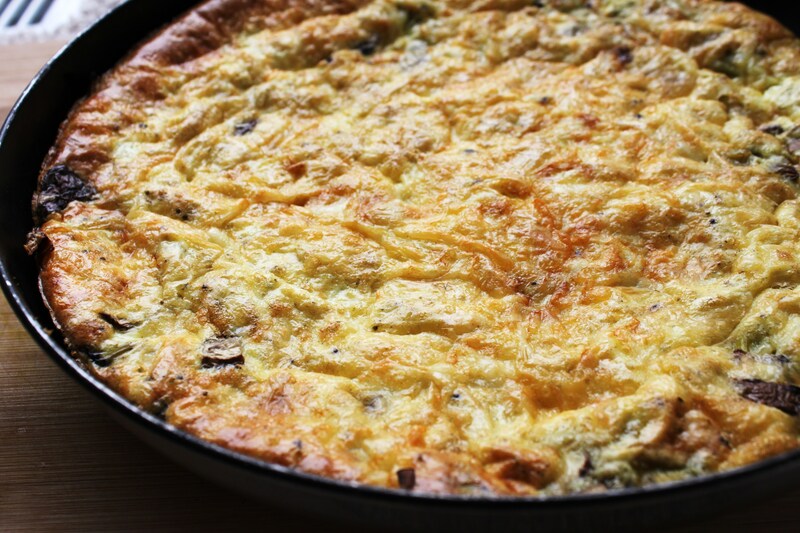 Bake frittata until golden brown and center is set (about 25-30 min). Don’t worry if it looks like it starts puffing out of the pan! When you take it out of the oven it will relax right back in. Serve warm or let cool and slice into pieces to store in the fridge. A while back I was in the grocery store and came across whole vanilla beans. Yum! They smell so delicious so I had to grab some while I was there. I was thinking to myself today, I haven’t made muffins in a while and we used to always have them ready to go in the fridge for breakfast or a snack. I came across an old bran muffin recipe I had and decided to modify it, using spelt flour instead and adding a few other ingredients like greek yogurt and apple sauce to moisten them up. Of course I also had to throw in some freshly scrapped vanilla from a whole vanilla bean. Combine all dry ingredients in one bowl and set aside. Cut your vanilla bean in half and scrape out the vanilla (you can use the tip of a spoon) into a separate bowl. Add remaining wet ingredients to this bowl and whisk to combine. Add the wet ingredients to the dry, stirring to combine. Lightly grease a muffin tray with coconut oil, or line with muffin cups. Scoop batter by the heaping tablespoon to make 12 muffins. Sprinkle with hemp seeds. Bake for 12-15 minutes until golden brown and a toothpick inserted comes out clean. You can place a piece of aluminum foil on top of the muffins 3/4 of the way through the cooking time to prevent them from getting too brown. Remove, cool and enjoy with a little butter, or homemade jam or whatever your heart desires! I couldn’t keep my 1 year old’s hands off these! Quick, get them before they do! These just look so amazing and taste amazing too! Colour definitely adds to the experience of eating and I just love a smoothie bowl like this with vibrant colours, different textures and lots of nutrients. This is the kind of breakfast I want on my patio on a summer morning! Or if you are having guests over this would be a lovely spread for the morning! I started mine with a mango coconut smoothie base, then added whatever beautiful fruit I could find along with hemp seeds, coconut, walnuts and granola. The variations are endless. Blend until ingredients are combined (You may have to stop and move it around with a spoon). You want it to be a thicker consistency than a normal smoothie so you can scoop it up with a spoon! Pour into a bowl and add toppings of your choice. The toppings featured here are coconut, hemp seeds, walnuts, granola, strawberries, mango and dragonfruit. Play around with your smoothie base…for extra protein you could add some nut butter or protein powder, it’s up to you. 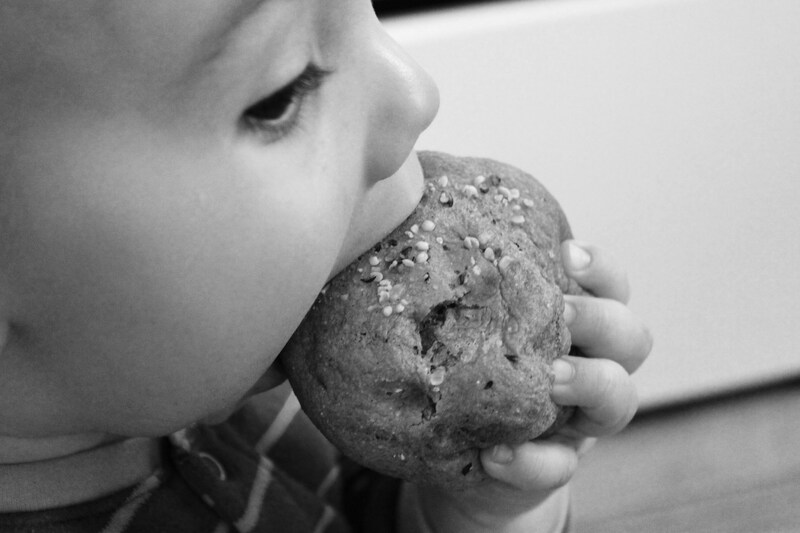 While I was shooting this photo my son must have said “Me have some Mama?” about 15 times…. he finally got his own special bowl…. Have fun creating in the kitchen! *Note – to save some time you could even chop up the fruits the night before…..
Do you have any little ones that you may want to surprise on Easter morning with a special treat?! Easter is not that far off and I wanted to create a parfait for my little one on Easter morning. Yes that’s right ….this can even be eaten for breakfast (it is EASTER after all! ), and this treat is not loaded with refined sugar but actual nutrients those little bodies can use. Potassium, Vitamin C, Fibre, Iron, Magnesium, Antioxidants and Omega 3’s are just some of the nutrients found in this parfait. 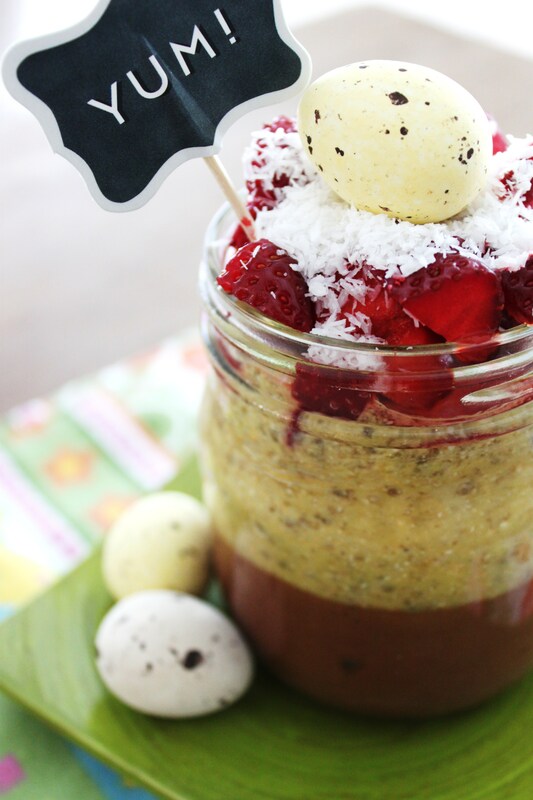 It starts with a banana chocolate pudding on the bottom, followed by a mango chia pudding, topped with strawberries, coconut and of course I had to put a little speckled chocolate egg on top….. Ingredients: The parfait is featured here in one large jar. However this amount will make two small jars (2 servings) for the little ones in your family. Simply layer the ingredients between two jars as you are assembling them. Blend all ingredients in a food processor until smooth. Pour mixture into jar. 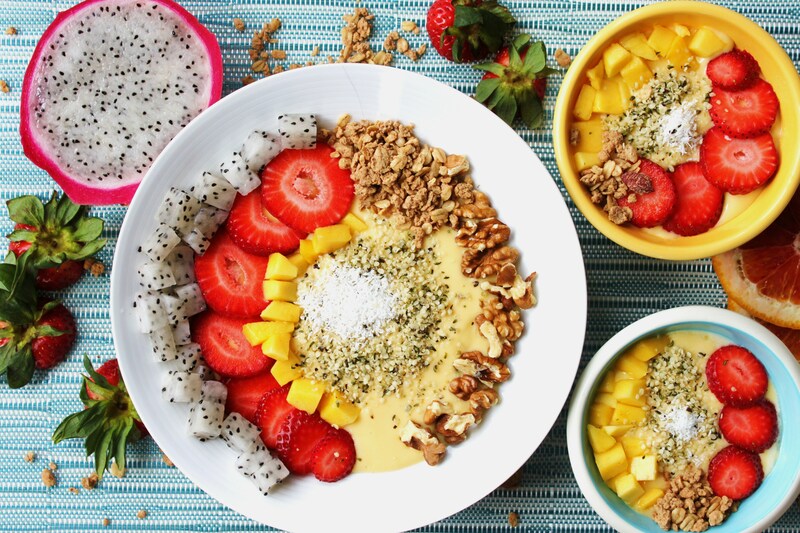 The Mango Chia Seed Pudding…. Blend all ingredients in a blender until smooth. Layer mango chia pudding on top of chocolate pudding. Cover with plastic wrap and refrigerate for 1-2 hours. Remove from fridge and top with chopped strawberries (these organic strawberries are so beautiful and deep red in colour!!) or favourite fruit, some shredded coconut and a little surprise on top of your choice. Have a fantastic Easter !!!!!! The snow is melting here and Spring is on it’s way. 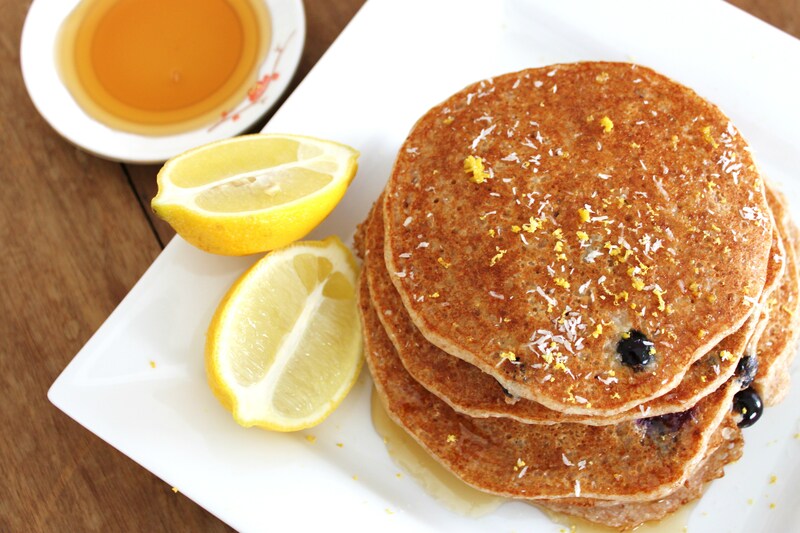 The fresh citrus scent of the lemon zest paired with coconut in these pancakes has me daydreaming about warmer weather! 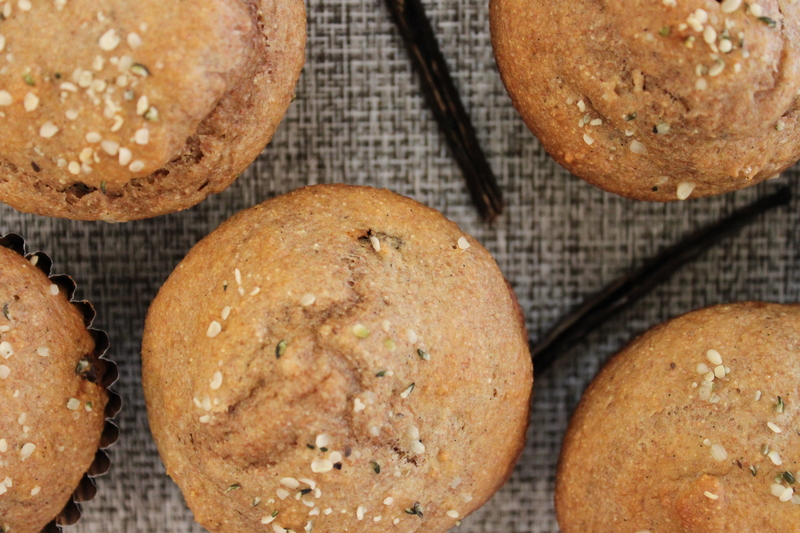 Mama, toddler and baby friendly, these are great for breakfast. Leftovers can even be kept in the fridge for a snack later. Whisk the flours and shredded coconut in a bowl to combine. Slowly add the milk and melted coconut oil whisking to combine. Add the blueberries and stir gently until combined. Use a laddle to scoop up a large spoonful of the batter into a saucepan over low heat. Use the back of the laddle to smooth and slightly flatten the pancake. Heat until the edges appear cooked and air bubbles appear throughout the pancake, then flip and do the same until golden brown. To serve, sprinkle some shredded coconut on top along with some zested lemon and some real maple syrup! 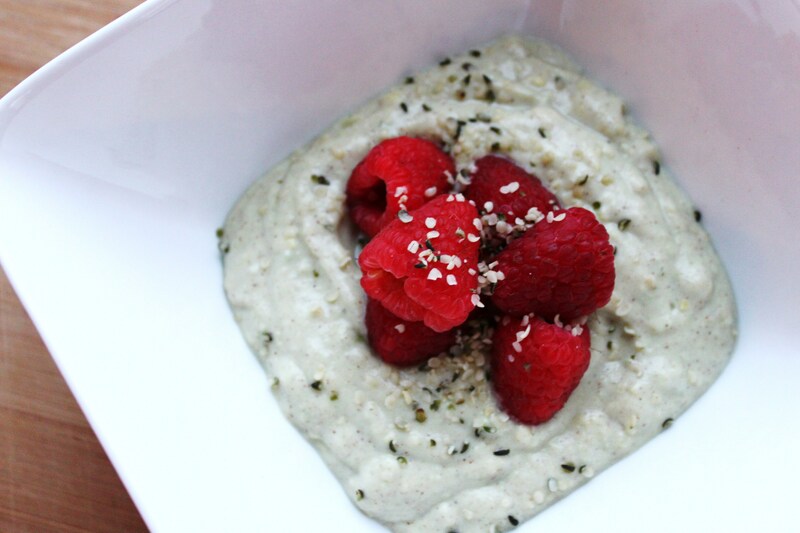 I LOVE this simple puree because it works for the entire family. You can use it for baby mixed with oatmeal in the morning or mixed with other purees throughout the day. But why I love it so much is because it is so versatile and works for my toddler and myself as well! This puree can be added to oatmeal, spread on toast, muffins, pancakes, waffles and more. 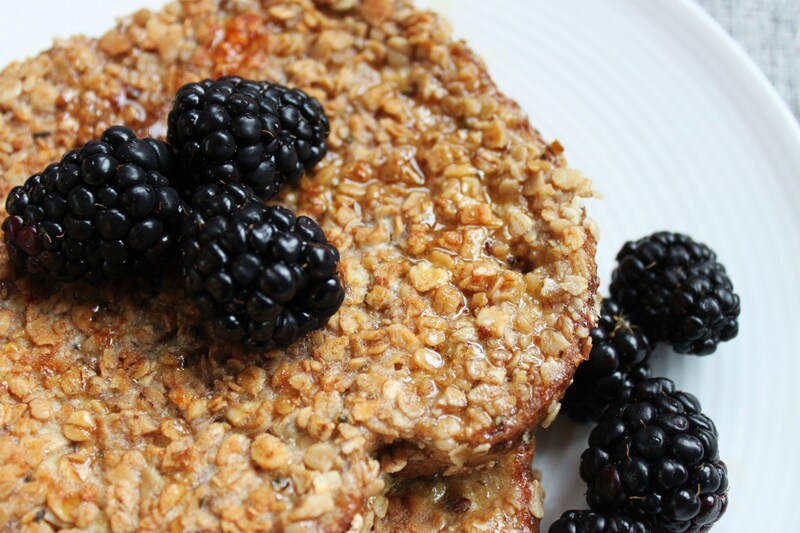 We especially love it on french toast with a drizzle of real maple syrup! Make up a batch and store in the fridge in a glass jar, or freeze to use later. Peel apples and chop into pieces of the same size. Add water to a pot with a steamer tray and steam the apples until soft but not mushy. In another pot add your apricots with just enough water to cover them. Bring to a boil and then simmer until soft. 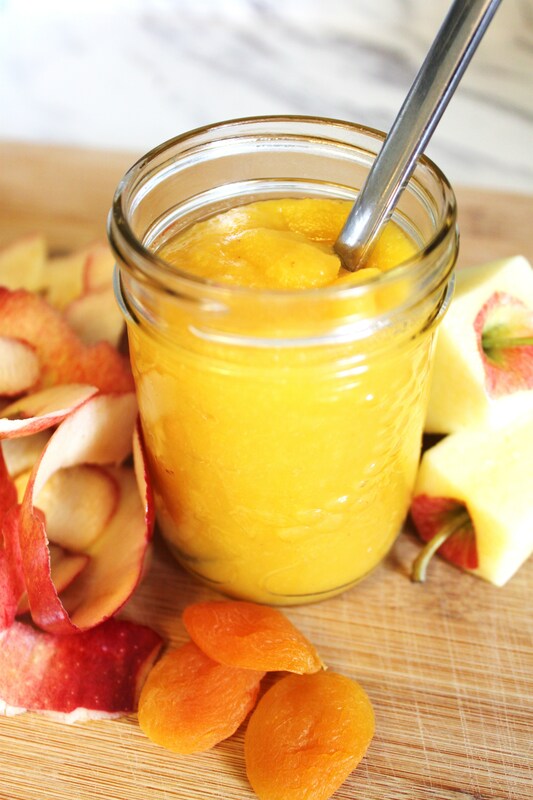 Add the softened apples and apricots to your blender, reserving the cooking liquid. Add roughly 3/4 cup (total) of the cooking water from either the apples or apricots or a mixture of both. Blend until you get a nice consistency. (You may have to stop the blender and move the fruit around and start again until it all gets blended). You can also add more liquid if needed. 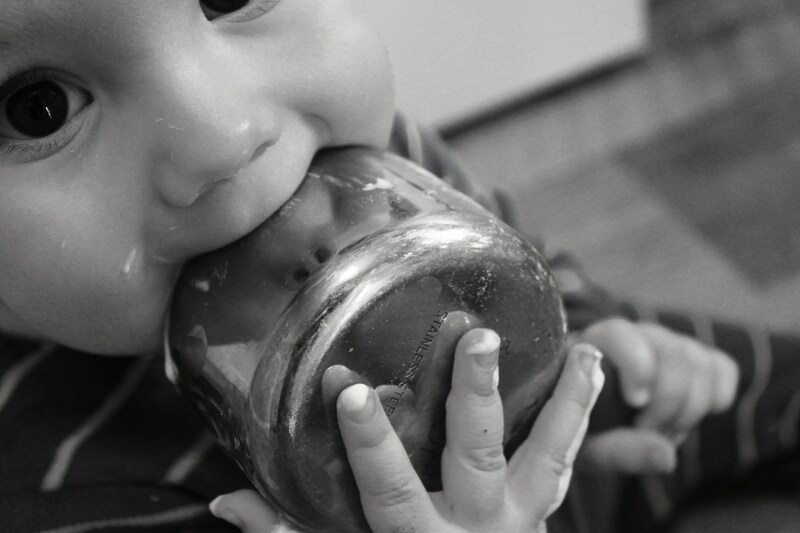 Put your puree in a glass jar and store in the fridge or you can freeze in individual containers for your baby for later. This is another great one for toddlers and older children, and so simple! 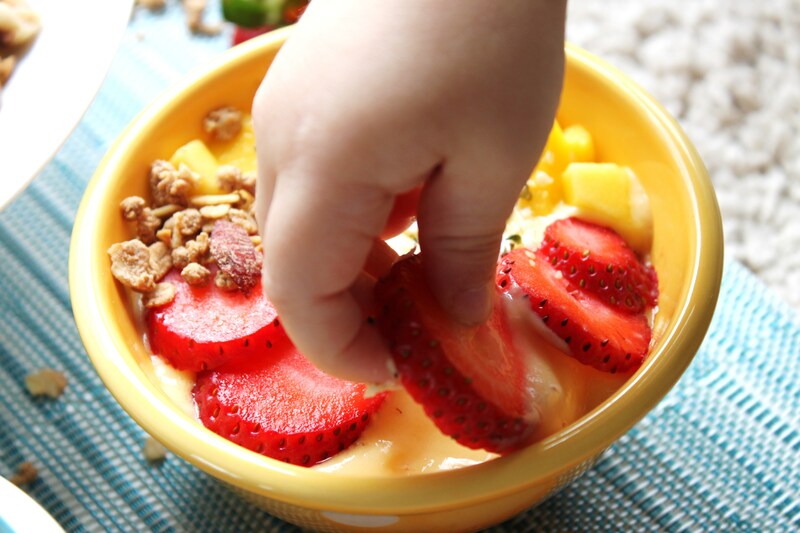 *Note – You can also make a much simpler version of this for your baby using only the Avocado and Greek Yogurt. 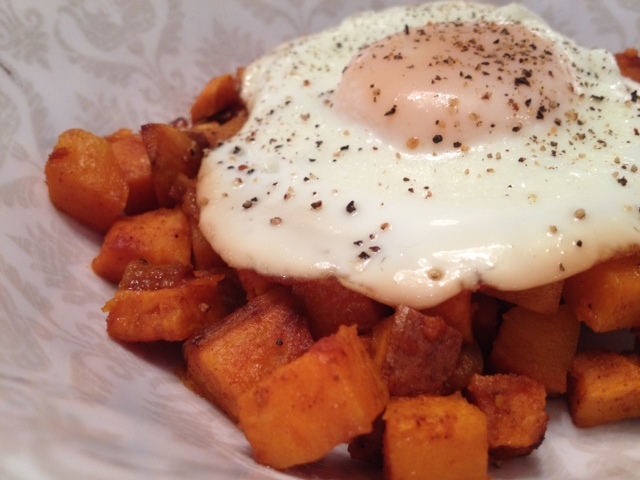 A great versatile breakfast for the little peeps in your family!